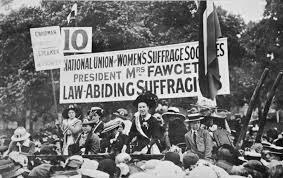 1901 – by the turn of the century various women’s suffrage societies had been combined to form the National Union of Women’s Suffrage Society. It wanted the vote under the same conditions as men, which effectively meant mostly middle class women and above. 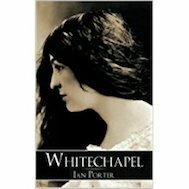 They believed it necessary to be seen as intelligent, polite, law-abiding. There were petitions, demonstrations, lobbying, public meetings, published pamphlets and leaflets, interviews in newspapers and journals. 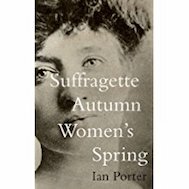 It was led by Millicent Garrett Fawcett, the widow of a cabinet minister. It was an establishment movement trying to change the establishment from within. The only problem was, they were getting nowhere. Mrs Emmeline Pankhurst was becoming increasingly frustrated.